he gave me these beauties for V-day. 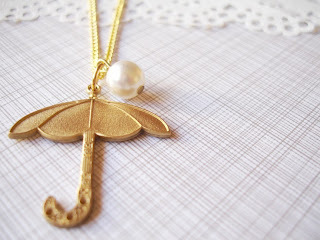 + this special umbrella necklace from oh, hello friend etsy shop. now i've just gotta find a pot. 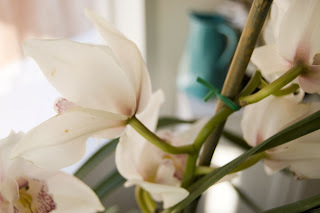 and find out how to pot an orchid plant. just find a pot, just a little bigger than the one it's in, and put it, along with some more potting soil in there. You need to read to see how much water it wants. I love your gifts. Sorry, no tips for the orchid, but I'm sure there are tons on the Internet. geri, i'm so glad you liked the necklace! it is one of mt favorites ;) i love your blog! I love your necklace. Whats the etsy shop?! I need to know! !